It’s your turn to run your own town. 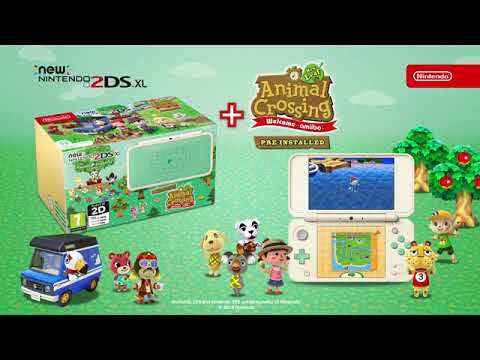 Pre-order the Nintendo 2DS XL + Animal Crossing New Leaf: Welcome Amiibo! The Nintendo 2DS XL is a dual-screen handheld device that is perfect for taking your favourite Nintendo games on the go. 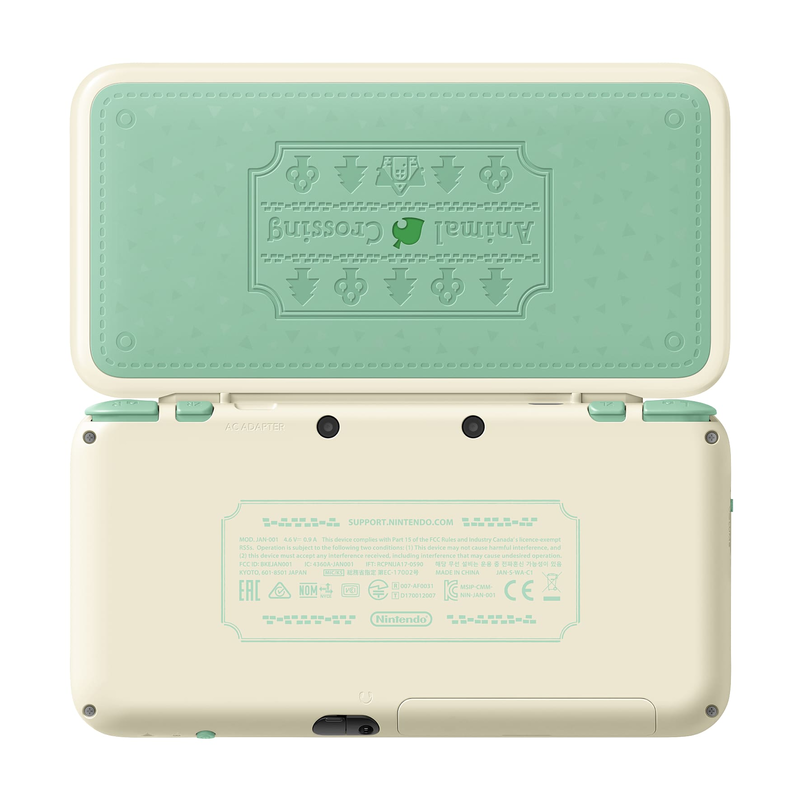 This Special Edition 2DS XL is designed in a light green colour with fruit and pine trees decorated on the front of the case. 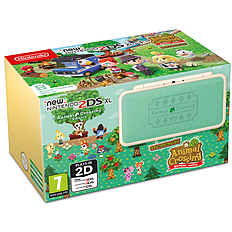 Also included in this Special Edition 2DS is a digital version of Animal Crossing New Leaf: Welcome Amiibo! Play as the mayor - it’s your turn to run your own town as you build friendships and discover the world of Animal Crossing. Pre-order the Nintendo 2DS XL and Animal Crossing New Leaf: Welcome Amiibo today! Get lost in your very own Animal Crossing world and pre-order this special edition Nintendo 2DS XL with Animal Crossing New Leaf: Welcome Amiibo. The Nintendo 2DS XL features large 4.88 inch dual-screens that can play your favourite Nintendo games in high quality – welcome to a new kind of the 2DS XL. 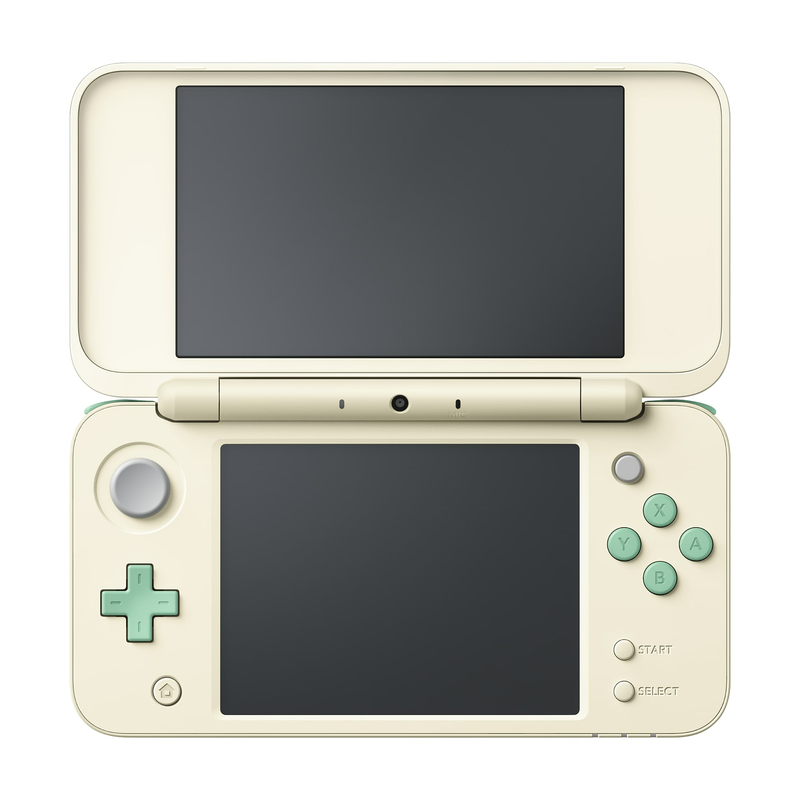 This handheld device offers all the features included on the 3DS* but in a sleeker design. 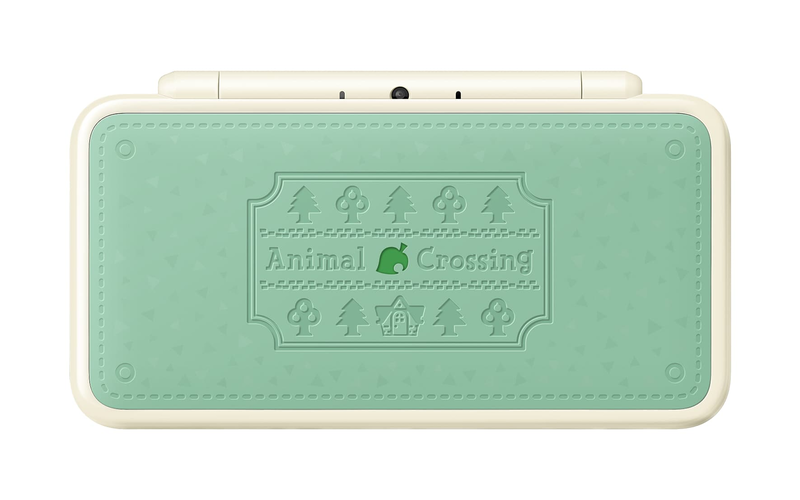 This Special Edition 2DS XL is designed with the recognizable Animal Crossing green colour with fruit and pine trees decorated on the front. In the middle is a leaf design that is hollowed out in the centre – this Nintendo 2DS XL is perfect for any Animal Crossing Fan. This 2DS XL also comes with a digital copy of Animal Crossing New Leaf: Welcome Amiibo. Do you think you have what it takes to run your own town? Play as the mayor in your own Animal Crossing world as you explore, make new friends and collect items! Animal Crossing New Leaf: Welcome Amiibo supports the use of Amiibo figures and cards so you can invite new characters to your village as well as collect new items as you complete a variety of mini-games! Think you have what it takes to run this town? Pre-order the Nintendo 2DS XL with Animal Crossing New Leaf: Welcome Amiibo today. *The 2DS XL is compatible with Nintendo 3DS games.